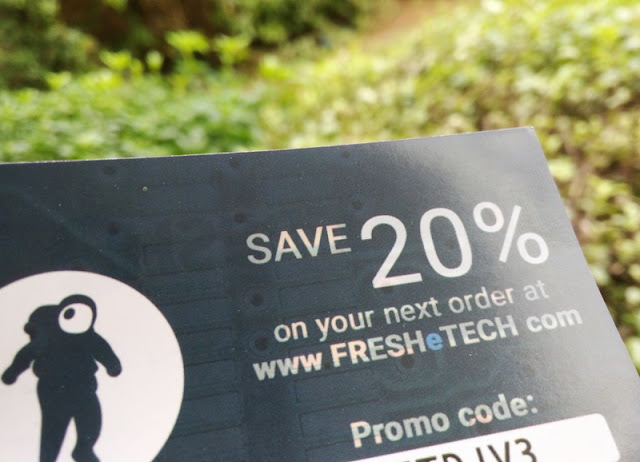 They say good things come in small packages and this awesome little Bluetooth speaker by FresheTech lives up to that saying! 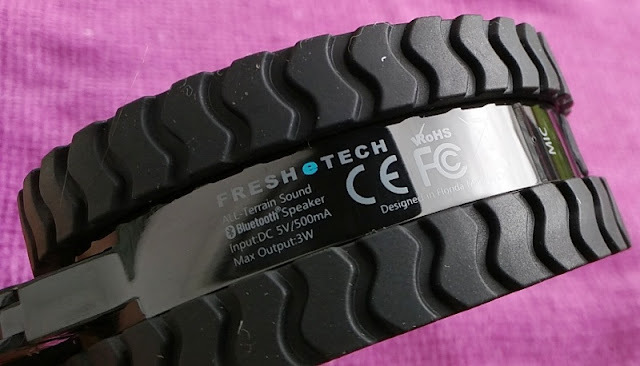 The FRESHeTECH ALL-Terrain Sound Bluetooth speaker delivers impressive sound quality via Bluetooth 4.0 and loud volume for a 3-watt speaker this size. 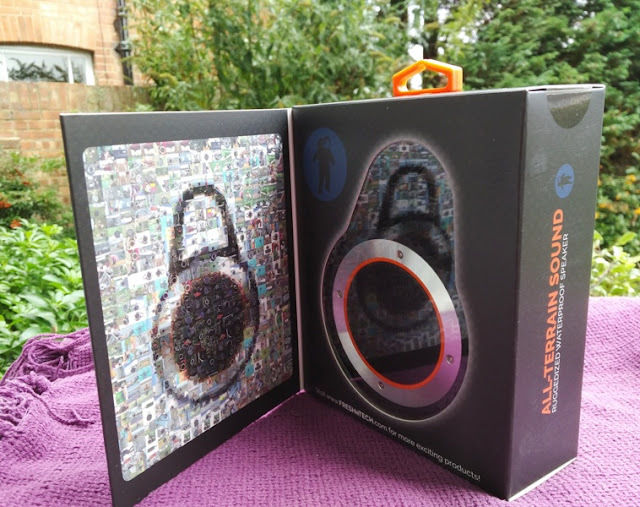 The long lasting battery makes the ALL-Terrain Sound perfect for listening to music while cooking, taking a shower or working outdoors in the garden. 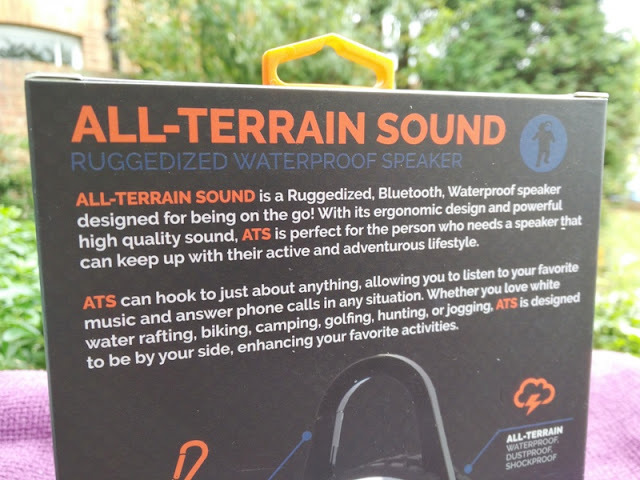 The ALL-Terrain Sound speaker can handle the outdoors thanks to IPX5 waterproofing. Construction is solid and consist of silicone rubber, quality plastics and aluminum. 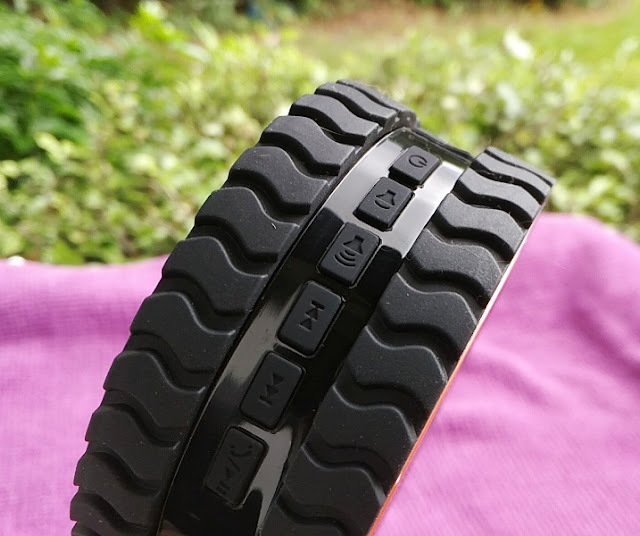 The control buttons are rubberized and so is the outer exterior, which has the design of a tyre thread. 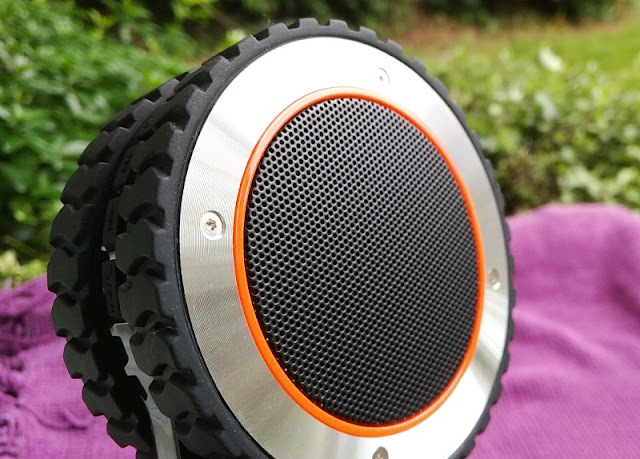 One side of the speaker features a perforated aluminum mesh while the other side is shiny with black glossy finish. 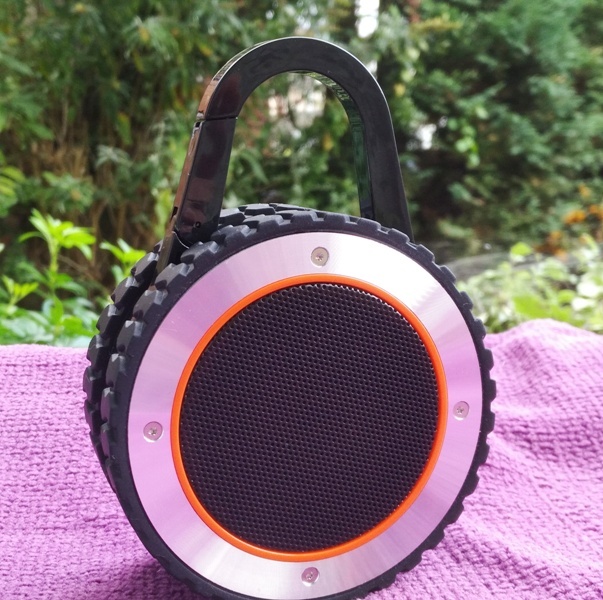 Both sides of the speaker have sleak brushed aluminum accents. 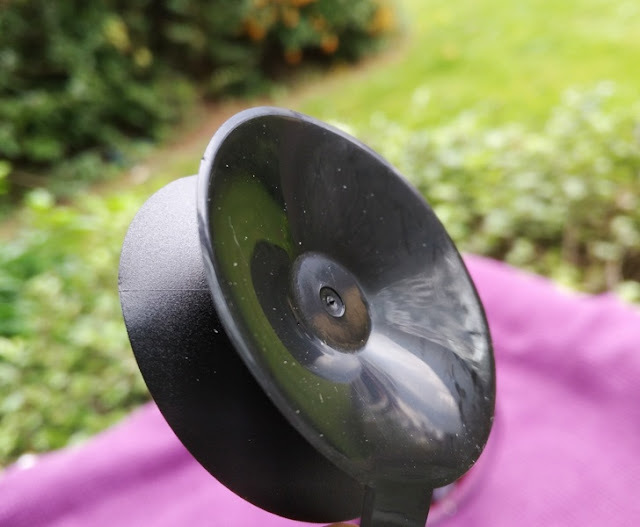 On top of the speaker, there is a caribiner clip which is perfect for clipping the speaker onto a shower head, tree branch or backpack. 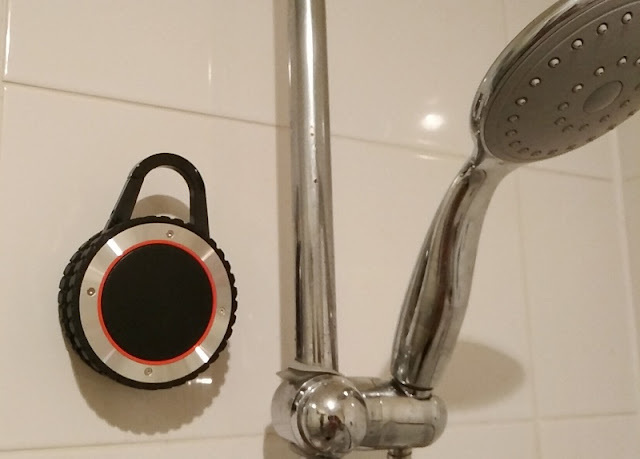 The ALL-Terrain Sound speaker also comes with a double sided suction cup to stick it to a shower wall, just like the Splash Tunes Pro. 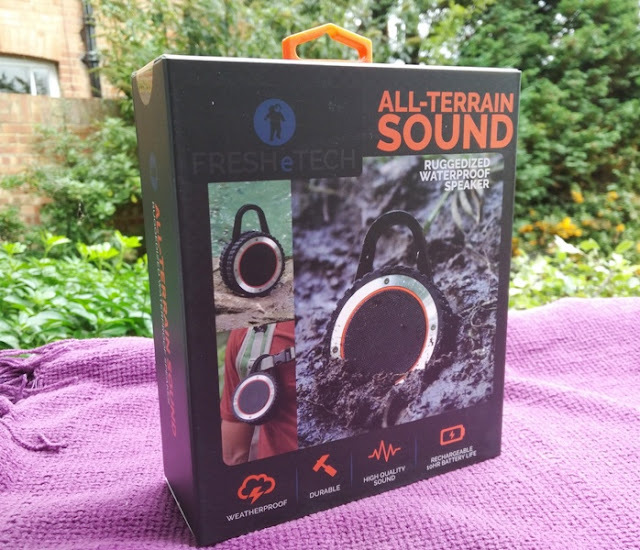 The FRESHeTECH ALL-Terrain Sound outdoor speaker has an AUX port and charges via micro USB. 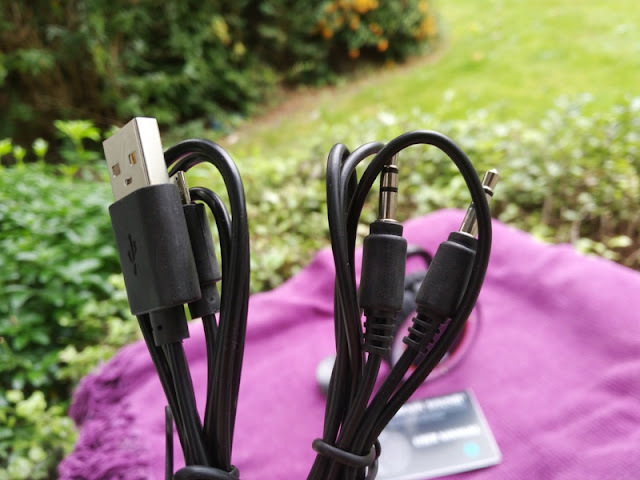 Both the micro USB charging cable and the 3.5 aux cable for non-Bluetooth devices are included. 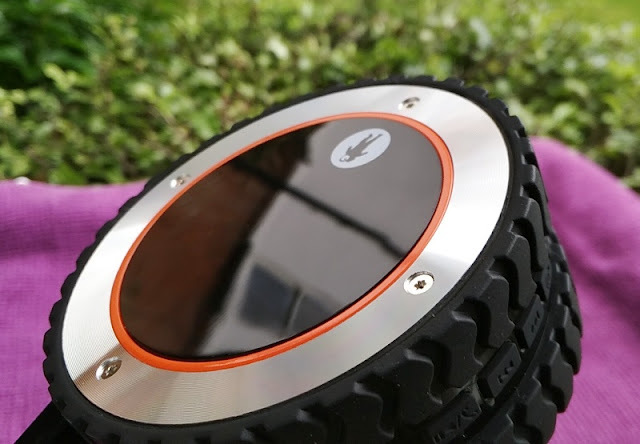 The button controls, which are waterproof, include six buttons in total: two dedicated volume buttons and two dedicated skip track buttons. The other buttons are a power/pair button and a play/pause button that doubles as the answer/reject call button during an incoming call. Battery power holds up really well at around 7 hours non-stop at full volume and 14 hours at 50% volume. 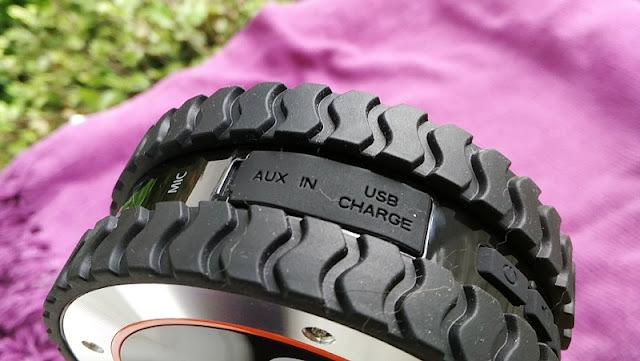 You can also play music while the ALL-Terrain Sound Bluetooth speaker is charging. 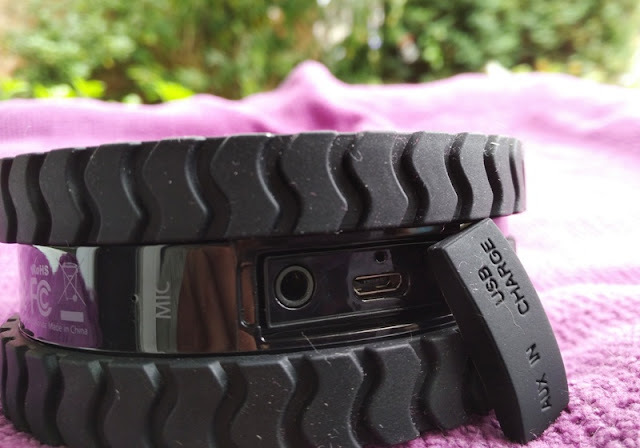 When full charge is complete (1.5 hours), the LED indicator goes from solid red (charging) to solid blue. 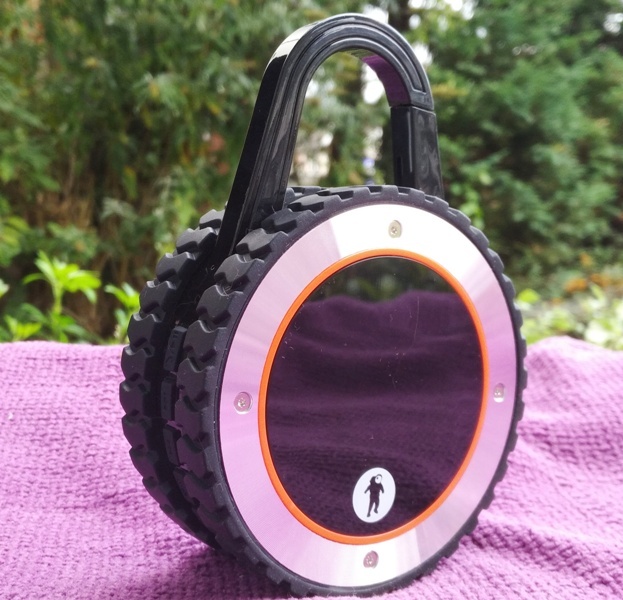 The speaker weighs 7.4oz (200 g) and measures 5.5 inches tall, 3.5 inches wide and 1.5 inches thick. 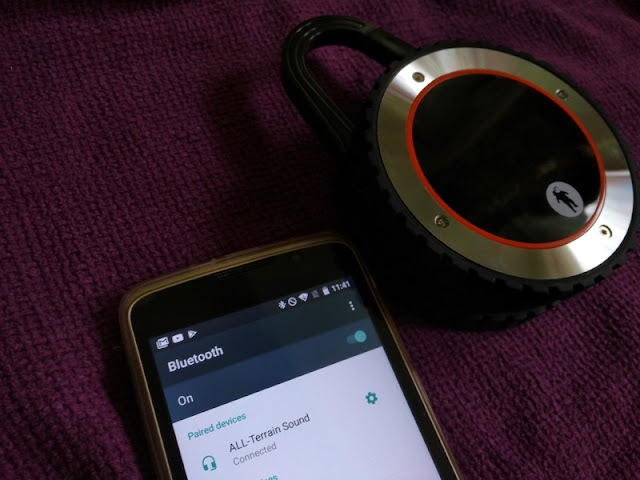 The size is pretty compact and lightweight. 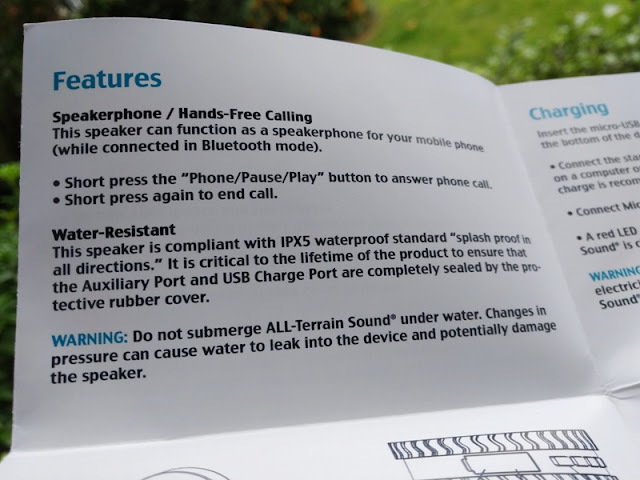 In fact, if the speaker drops in water it floats!